We saw this plant a couple of days ago and have search the books we have here with out success. The leaves are opposite at intervals up stem. 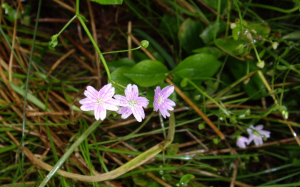 The flowers have five pairs of fused petals that are white with pink streaks.